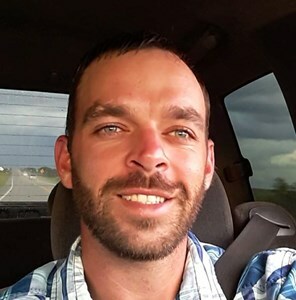 Travis Brooks, 28, of Titusville died Friday (10/26) as the result of an accident. Travis was born here in Titusville and has lived here all his life. He owned his own tree trimming business which he called Tree Billy Trees and was a person who loved the outdoors. While in school he lettered in Baseball and Golf. He still enjoyed playing golf and fishing. He was also a four-wheeler enthusiast and a "mudder" who enjoyed his burnouts. Survivors include the love of his life: Katie Knott and their daughter: Kristin Brooks of Sanford; his mother: Leota T Macklin of Titusville; brother: Alan Huff of Titusville; paternal grandmother: Bonnie Brooks of Port Orange; and maternal grandparents: Don and Becky Huff of Mims. Add your memories to the guest book of Travis Brooks. My nephew Travis will be missed in so many ways and by so many people. This is a tragedy that we will never get over. Travis lived life and loved so many people. A mother should never have to go through loosing two sons and not to mention her husband recently. Leota is strong woman, but don't let her fool you, because inside every warrior is a child and she is hurting I know - please hug her closely, check on her, encourage her, just love on her a lot of extra right now. I will be getting holding her soon. Travis loved his mom to infinity and back and loved to aggravate and tease her. His brother Alan loved to aggravate in a loving way to his mom too. There was never a doubt of their close bond and love they shared as brothers. He loved his little girl Kristen like she set the moon and stars and it breaks my heart for her to not have her daddy. I witnessed his love and devotion for Katie and it was a unique sweet loving bond. I am so happy that I got to spend time with them in a cozy cabin in Tennessee in January 2018. I will cherish those memories. Just the other night, out of nowhere, I find a baseball that he had given me...it had on it "Travis 2016". I will cherish this ball for the rest of my life. Goodbye Travis....Rest and we shall all meet up again. I will look forward to it. Little Kristen, Aunt Vickie has picked you out another beautiful porcelain doll...I love you precious girl. Love you all. I know we haven’t really spoke since high school but I’m deeply saddened to hear about this loss. High school baseball was a lot of fun with you. I hope the good lord is taking care of you as well as looking over your family in their time of need. You were a great person that I had the pleasure of knowing during high school. May you rest easy my friend! Brooksy, man the times we've had through the years, from playing baseball against each against and with each other, opening your doors to me when I first moved out of my parents house, riding the motorcycles to Daytona for fun on the weekends, getting me on my first rollercoaster, standing by my side when I was stabbed in cocoa beach, starting out foreclosed home lawn buisness, and especially when you would come up to tally for the FSU games. You were the life of the party and always had my back. I'm going to miss you bro, hold it down in heaven till we team up again. Love and miss you bro!!! To Leota, Katie, Alan, and family my deepest condolences and love goes out to you. And to Katie and the family, I will be keeping you all in my prayers! I only met Travis once but I was blessed to have met him, he was so sweet and funny and a complete gentleman. My condolences to his family and friends. Sending prayers to all.